Do you have a hearing loss but would prefer to wear invisible hearing aids that no one can see? You are not alone. Although the stigma has nearly faded, many still want instruments that are hidden. Luckily, with new breakthroughs in technology, manufacturers like Phonak can make instruments smaller than ever. This is great news for people that have been on the fence about getting help. When discretion is key, these models are recommended by hearing care professionals. The award-winning Virto B Titanium is a very small custom device worn deep inside your ear. The instruments are about the size of a coffee bean. Once inserted, the unit fits deep inside your ear. In order to create invisible hearing aids, impressions of your ears will be taken. Like a key in a lock, they fit perfectly every time. Phonak Virto B-Titanium is suitable for most types of losses. The Virto B Titanium has received many different awards. Its design has earned a prestigious Red Dot Award. It has also been awarded the international Gold Stevie® Award and the CES 2019 Innovation Award. Wearers report that these instruments are comfortable and provide excellent sound quality. The Virto B is also a custom-made instrument, much like the titanium. They also fit completely in the canal of your ears. Unlike the titanium, the Virto B is available in many different skin tones. Astoundingly, they have Bluetooth capability. This allows you to stream phone calls directly from your phone to your instruments. This wonderful feature is completely new to custom devices. If you suffer from tinnitus, the Virto B has tinnitus features to provide relief. Although Virto B is small, it is not lacking in technology by any means. With highly advanced features, the Virto B can meet most everyone’s hearing goals. The newly released Styletto by Signia is the first fashionable instrument on the market. The unprecedented and uniquely slim design is both, attractive and functional. The Styletto features Signia’s latest technology platform. Allowing you to enjoy every voice with rich sound quality, including your own. To make life easier, the Styletto is fully rechargeable. This innovation eliminates the need for batteries entirely. The charger can provide 3 days worth of power. This novel addition makes these instrument convenient for busy people who like to travel. Finally, the Styletto works with a phone app that allows you to make minor adjustments on your own. Now more than ever, people are feeling confident wearing their instruments. Manufacturers like Signia and Phonak are finally able to fit impressive technology into discreet designs. 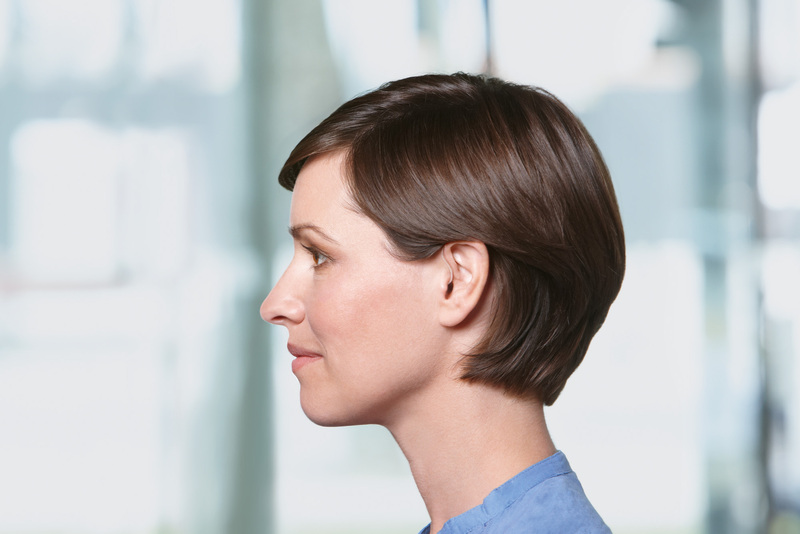 In order to be fitted with a set of invisible hearing aids, you will need to see a professional hearing provider. If you prefer mobile visits, you can be seen by a mobile specialist or mobile audiologist in San Antonio. San Antonio Custom Hearing offers hearing services in the clinic or in-home.